Qualifications: A range of highly qualified tutors, specialized in their instrument. All group teachers have been trained & certified to teach our specialist curriculum. Suitability: Specialist preschool classes for ages 2 -4 years, unique group piano music classes for ages 5+ plus we teach group percussion for school aged children. We also offer individual lessons in piano, drums, singing, guitar & violin. We teach music as a language via a revolutionary holistic & aural approach (Listen | Sing | Play | Read| Write). 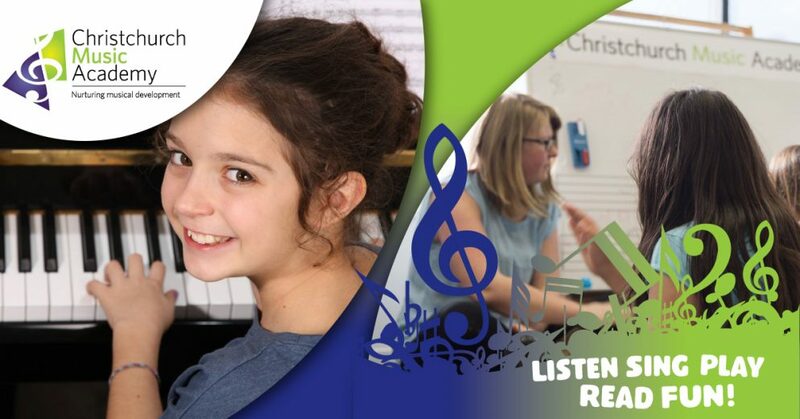 Having opened the door to this method of music education for Christchurch in 2003 we have become renowned locally for our specialist preschool music classes, our unique piano music classes for school aged students & our new group percussion lessons ages 5 and over. We have recently partnered with specialists ‘Encore Music Education’ to upgrade our curriculum & bring your child the best! We also offer drumming / percussion ensemble group lessons and individual specialist tuition in piano, drums, singing, guitar & violin.